Suffering from iPhone 5 Fatigue? How About Three New HTC Windows Phone 8 Devices? For better or for worse, the iPhone 5 reveal has come and gone. Opinion on the new Apple smartphone is mixed; some call it a major upgrade to its predecessor, the iPhone 4s, while others think thatApple didn’t try hard enough. The good news for people not happy with the iPhone 5 is that there are other phones to check out that may have the specs that you’re looking for. And today, we’ve got a crop of new Windows Phone 8 smartphones from HTC that should satisfy your tech-news cravings. According to reports these new phones will be Windows Phone 8 counterparts of their Android-powered HTC One series. The HTC 8S will be the mid-range device while the HTC 8X and the HTC 8V will be taking over the premium and entry level slots. According to rumors, the 3 devices are headed to the United States via T-Mobile and should be launched in an HTC even next week. Ready to forget the iPhone 5 or the Galaxy SIII? 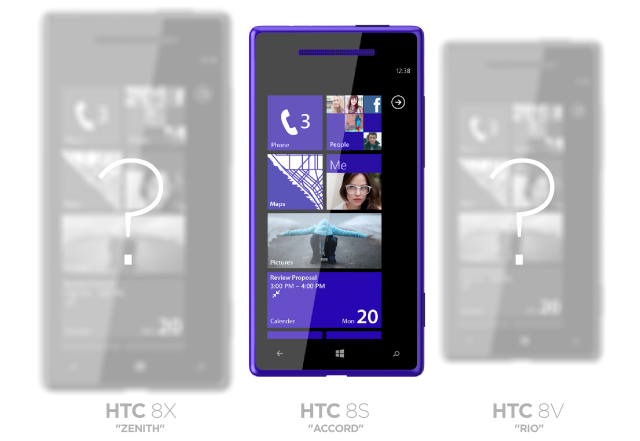 Do any of the new Windows Phone 8 smartphones from HTC appeal to you? Share your thoughts in the comments below!